I’m sure this has happened to all of us at one time or another when taking an e-learning course. You sit in front of your computer, coffee in hand, and unconsciously click through each screen without giving the content a second thought. You just want to get to the end and check off on your training plan that you’ve completed the course. Ugh! As an instructional designer for Innovative Learning Group (ILG), I want to give learners real “aha!” moments. I want to engage them and help them really learn the content. Clicking mindlessly through a module does not result in effective training. Recently, I’ve been developing e-learning modules on safety leadership for one of ILG’s industrial safety clients. Throughout the project, I’ve learned to think differently about safety. Are you safe on the job because no one got hurt today? Are you safe because no incidents were documented in a quarter? Are you safe when no first aid is recorded? 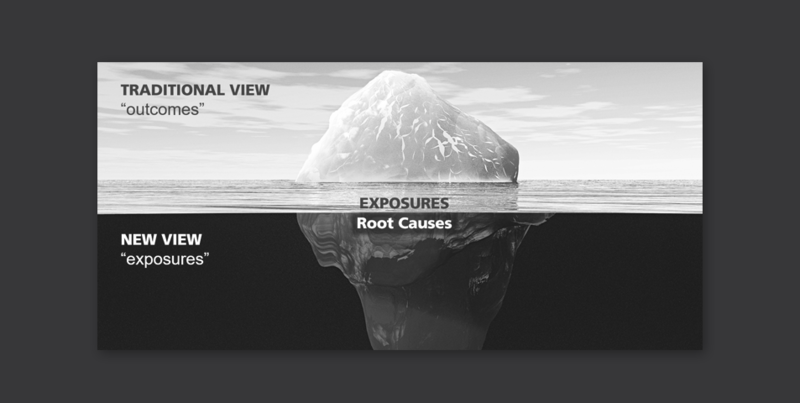 This client’s objective is to teach employees the company’s “new” view of safety, which is to have employees consciously seek out where a person might be exposed to a safety risk, get to the root cause of the exposure(s), and then eliminate or reduce the risk of exposure(s) before an accident occurs. So how do I engage my learners to get them to the “aha!” moment I seek? I’m paying close attention to the coherence principle of multimedia as I develop the modules. In Multimedia Learning (The Cambridge Handbook of Multimedia Learning: Cambridge University Press, 2014), Richard Mayer posits that people learn better when extraneous words, pictures, and sounds are excluded rather than included in e-learning. Using fewer words, pictures, and sounds is easier said than done, however, as it can be tricky to whittle down content to make a point. But I’ve found that while it may make take longer to do, it’s worth the effort. Do I want to stay on the screen a little longer to think about what’s happening? Do I find the concept relevant to my work? If I can answer yes to all of these questions, then I’ve achieved my goal. If I can’t, I go through my process again. How did this play out for my safety course? Instead of cluttering the screen with words, extraneous circles, arrows, flashing text, and swirling graphics to show the new safety view, I used a single graphic to convey the message — an iceberg symbolizes safety outcomes that are visible above the waterline, and then reveals dangerous safety exposures and their root causes lurking below the waterline (see image at the top of this blog). This “iceberg,” combined with a precise amount of audio, is dramatic enough to evoke the “aha!” reaction I wanted. I’m confident that if I continue to use this coherence approach, I’ll create a suite of training that will stop the unconscious clicking and give learners pause to think about what they’re seeing and experiencing — and then say, “aha!”. Joan, this is a wonderful approach to instructional design (and unfortunately the opposite of most e-learning today). It would be even better if we had the luxury to test and validate “a-ha” screens with actual learners before releasing the course!